UPDATE: Saturday morning, January 14, the skies are grey at 7:30 a.m. Here’s hoping for a little sun by noon. It’s Hilo and we are waterproof! Everything is set for a wonderful day of art. Be sure to stick around for the pupu (hors d’oeuvres) and live entertainment in the later part of the afternoon. 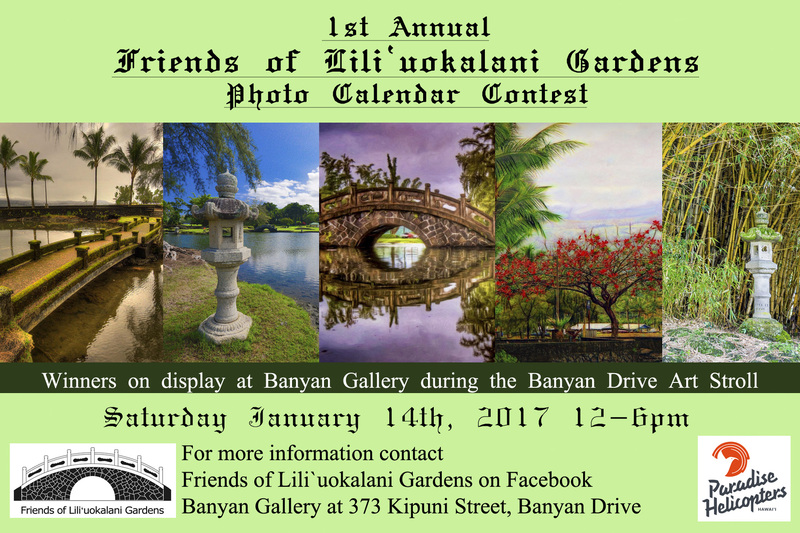 The first centennial event of 2017 to celebrate Lili`uokalani Gardens is the Banyan Drive Art Stroll set for Saturday, January 14, from noon until 6 p.m.
Art exhibits will be open the full time at the Grand Naniloa Hotel in the Palm Room on the lobby level, at Castle Hilo Hawaiian Hotel in the Wai`oli Lounge on the lobby level, and at Banyan Gallery. Free maps and a schedule to all events will be available at each Banyan Drive location. 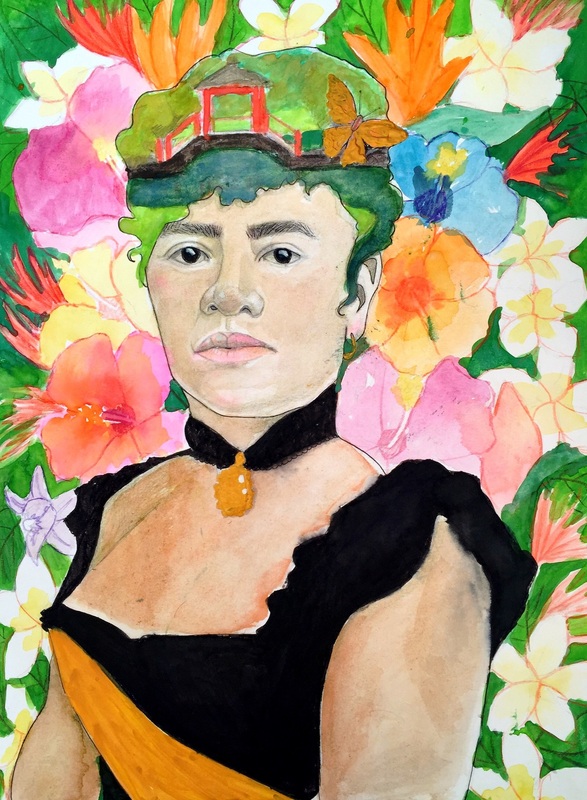 Painters will gather inside Lili`uokalani Gardens from noon to 3 p.m. demonstrating painting “en plein air” — painting outdoors. From noon to 1 p.m. Christy Lassiter Trio will perform at the Grand Naniloa Hotel. Lassiter’s CD Leale`a (Joy) will be available for sale. At 2 p.m. Puna Taiko, will play in the old sumo ring area near the tea house in Lili`uokalani Gardens. Also at 2 p.m., Paradise Helicopters will present the grand prize in the photographers competition at Banyan Gallery. Copies of the photo calendar will be available at Banyan Gallery. A fund raising project, calendars sell for $20. Ask about shipping if you wish calendars mailed to you. 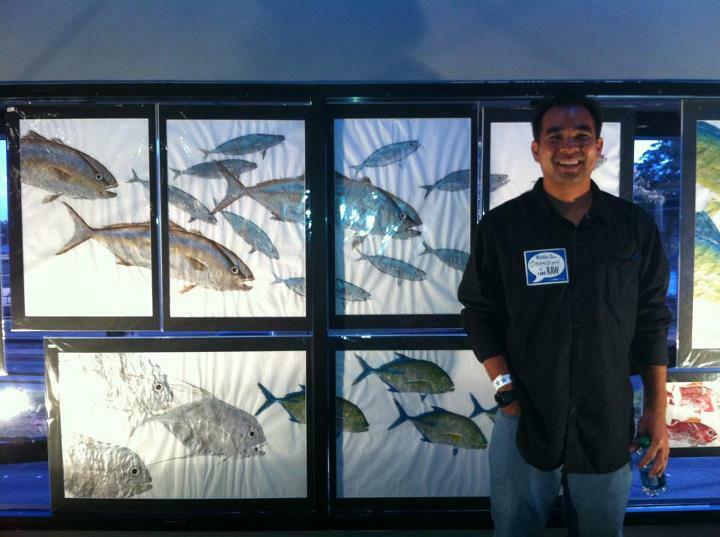 From 3 to 4 p.m., Brandon Tengan will demonstrate gyotaku at Suisan Fish Market on the Lihiwai Street side of Lili`uokalani Gardens. Voting for People’s Choice awards continues all day at the Grand Naniloa until 6 p.m. Winners will be announced the following day. For further information, see the Friends of Lili`uokalani Gardens page on Facebook or contact K.T. Cannon-Eger by email kteger@hawaii.rr.com or cell phone (808) 895-8130.